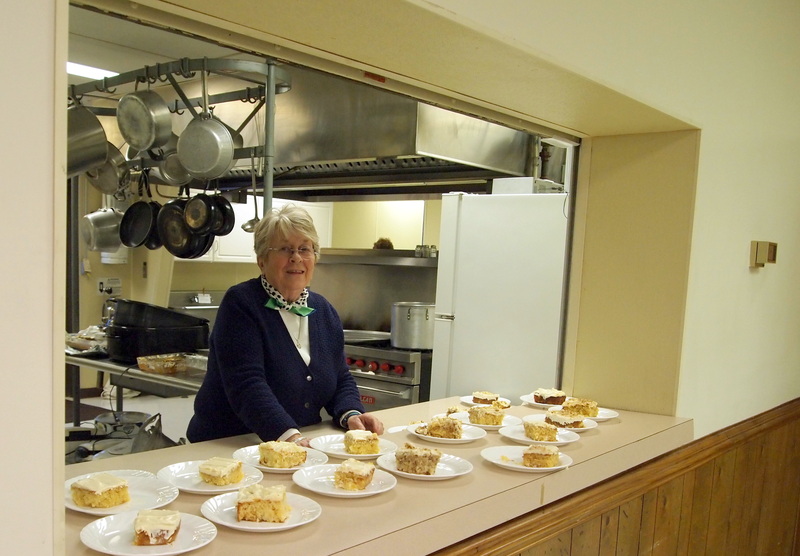 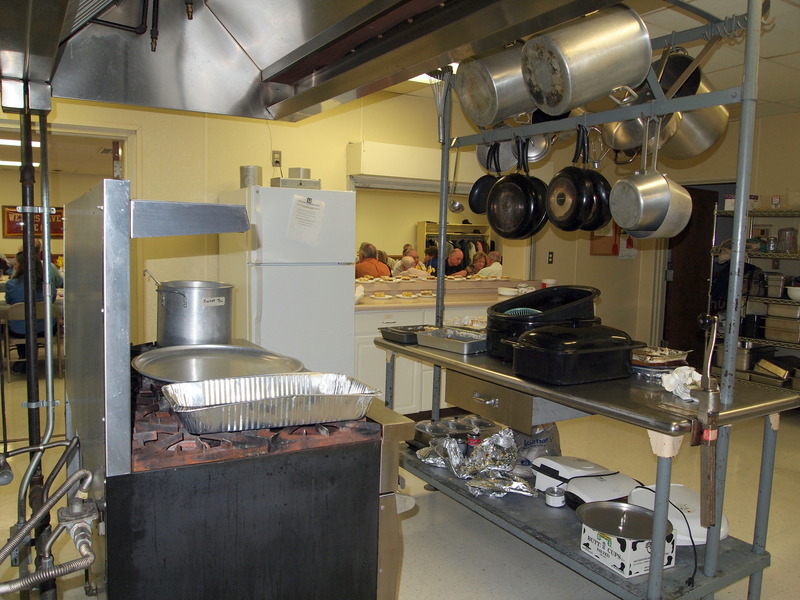 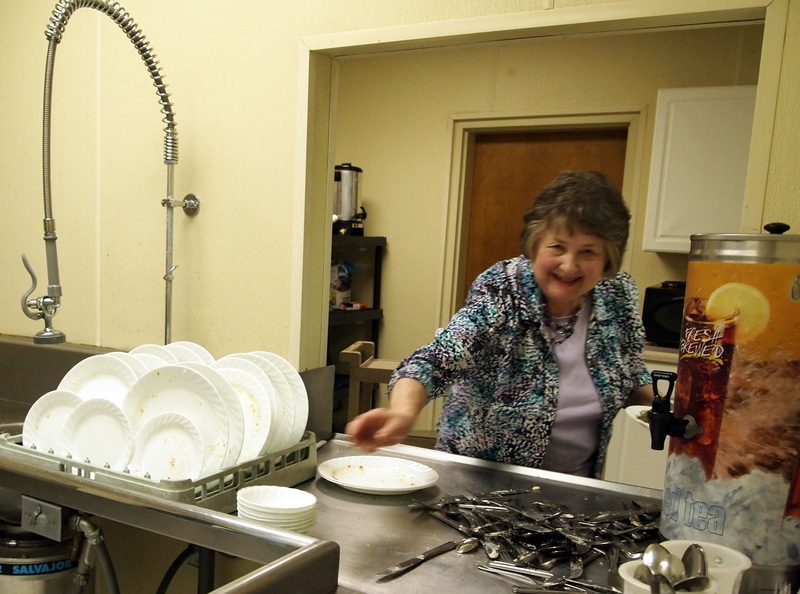 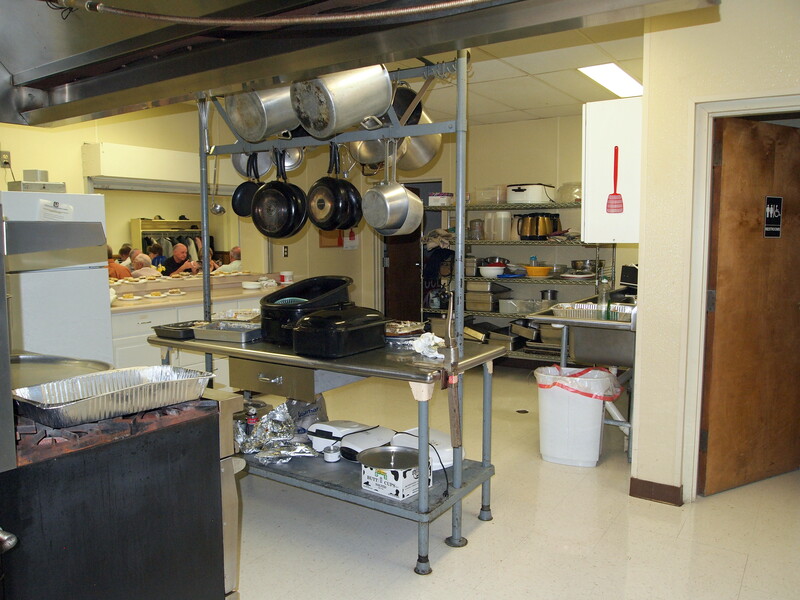 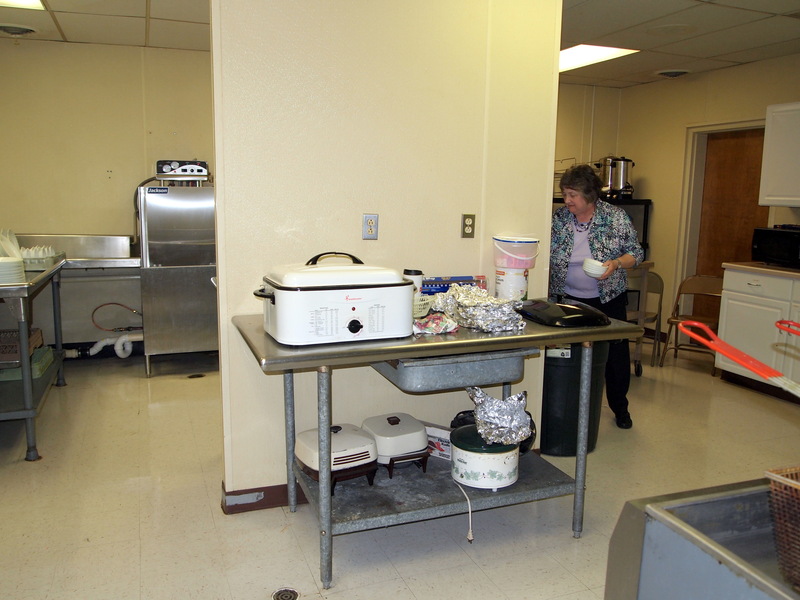 The fully equipped kitchen is 45′ x 20′ and has an exterior exit. 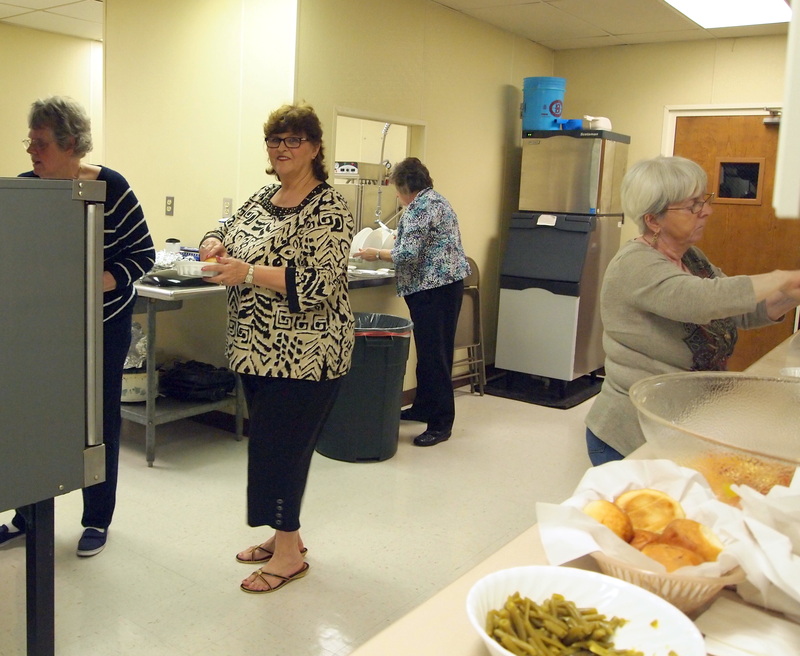 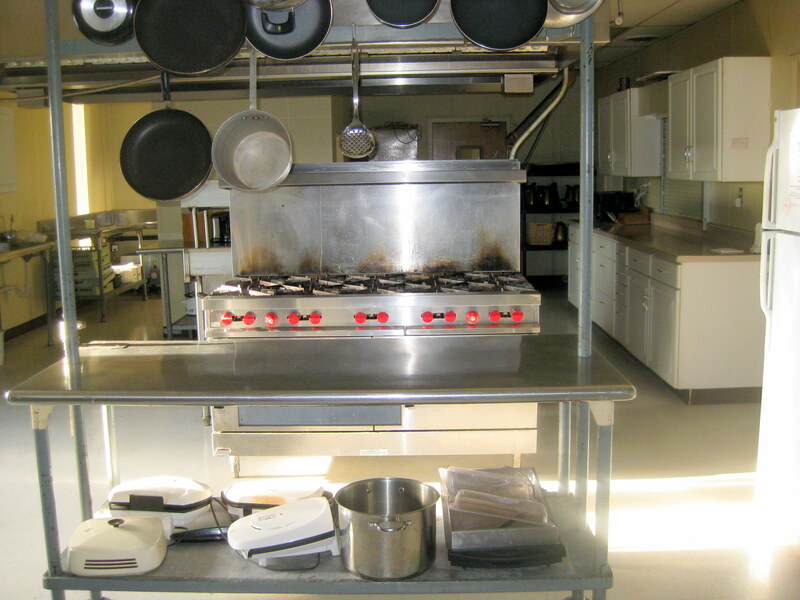 It has a large capacity six-burner stove, a six-shelf convection oven, large and small refrigerators, a commercial icemaker, six sinks, a commercial dishwasher, and is easily accessible to the large meeting and dining rooms. 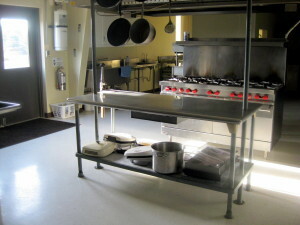 The kitchen rents for $100/day with a deposit. 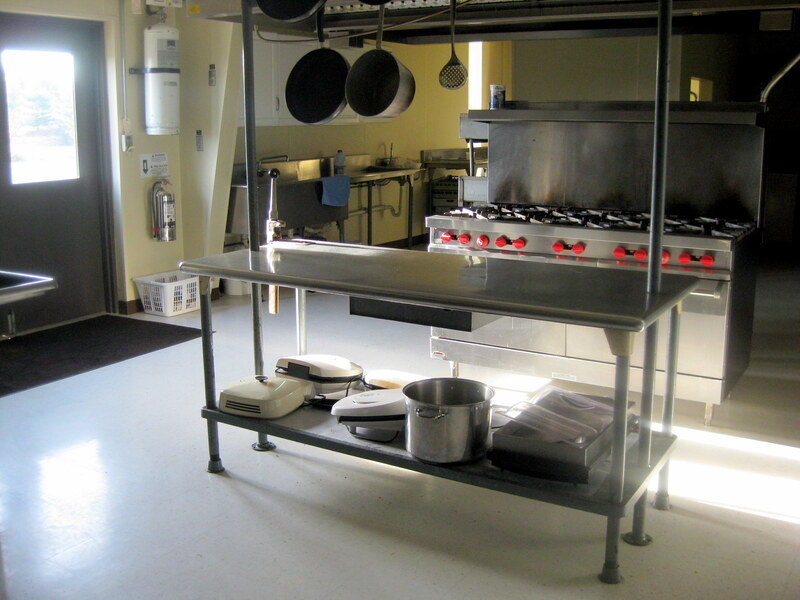 Please remember that the per day charge applies if the kitchen is needed for two days for a one-day event. 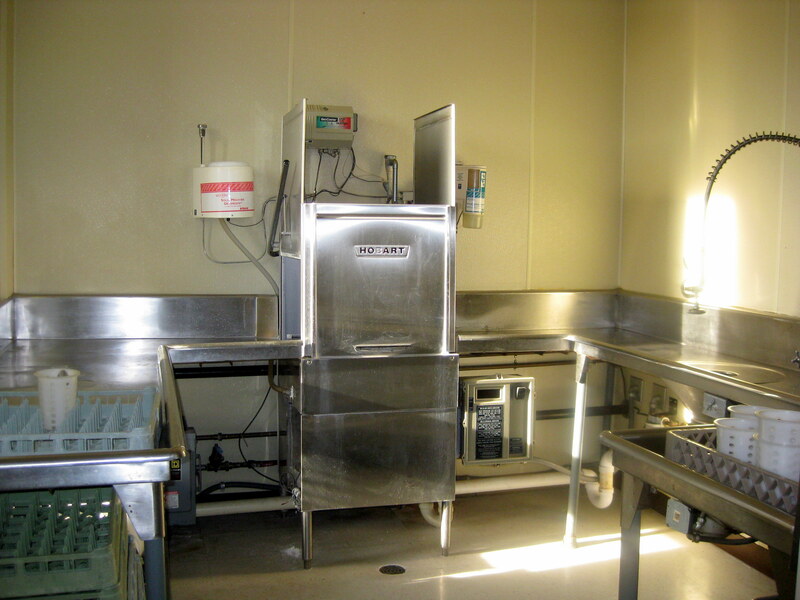 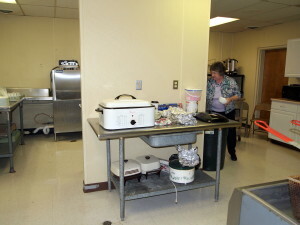 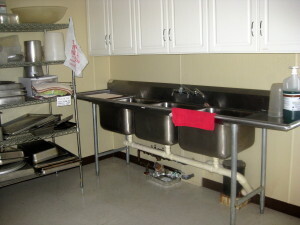 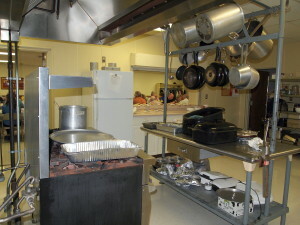 Stoves, prep area, serving area, fridge, with sings to the right and left of this photo. 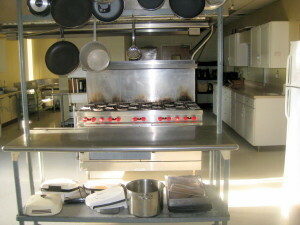 Food ready to serve in the front, coming out of the oven in the middle, served on the right, and dishes in the back. 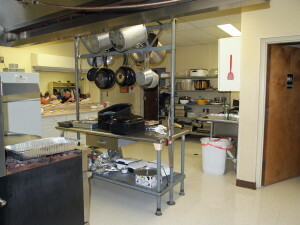 Plenty of room for everyone!